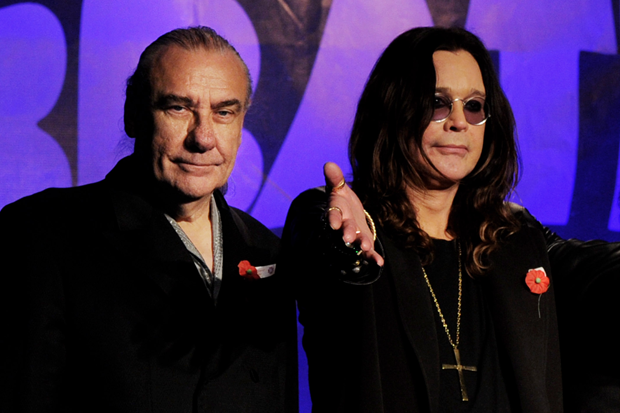 Black Sabbath fans finally have some clarity as to what exactly has been going on with the reunion tour they announced last year which has been steadily downgraded to an Ozzy and Friends situation since then. Original drummer Bill Ward, who has been viewed as dancing around the reunion over “contract disputes,” has officially nixed the possibility of all four original members reuniting for the first time in four years and stepped away from all three reunion gigs, including the band’s headlining Lollapalooza spot and their “intimate” O2 Academy homecoming show this weekend. In an open letter to fans posted on his website yesterday (via Rolling Stone), Ward explains the ridiculous terms of his arrangement with the band. He says he was asked to drum on only three songs at their Download Festival gig next month, but he was also invited to play this Saturday’s O2 gig pro bono and without promise that he would be signed on for the next gigs (they seem to have a backup drummer at the ready, he says). At 1,446 words, the note is about 400 words longer than Axl Rose’s Rock Hall letter. But impressively, it isn’t bitter: “I hold no malice or resentment towards the other band members,” Ward writes. “I love them; I’m tolerant of them; I’m frustrated with them, as they may be with me. My fight has never been with them. I’ll love them forever. ” Read the full text below. Sabbath guitarist Tony Iommi, who has been fighting lymphoma since the beginning of the year, received his last chemotherapy session in March and has said that the band has been forging ahead, working on new material.